Cancer, Migraines, Fibromyalgia, Autism, Asthma, Reproductive Dysfunction, Chronic Fatigue Syndrome, are some of the illnesses that have in some form of other been potentially linked to excessive exposure to chemicals. All the more reason to seek chemical free cleaning solutions. As a result more and more consumers are seeking effective cleaning methods that do not use chemicals but also obtain hygienic results. Are you one of them? Most of consumers (73%) contacted during Underwriters Laboratories research, do not believe household chemical manufacturers have taken adequate steps to ensure that “environmentally friendly” manufacturing are followed. Making matters worse, some of the largest industry manufacturers have been singled out as having “failing grades” with respect to product safety. The idea that consumers do not trust the safety of chemicals should not come as a surprise. After all it was hotel industry practices that triggered the term “greenwashing” in 1986. A peak into the past. We have gone from the traditional cleaning products that are laden with chemicals. Over time we have been taught to appreciate the smell of clean that is often expressed as “Pine-Sol clean”. 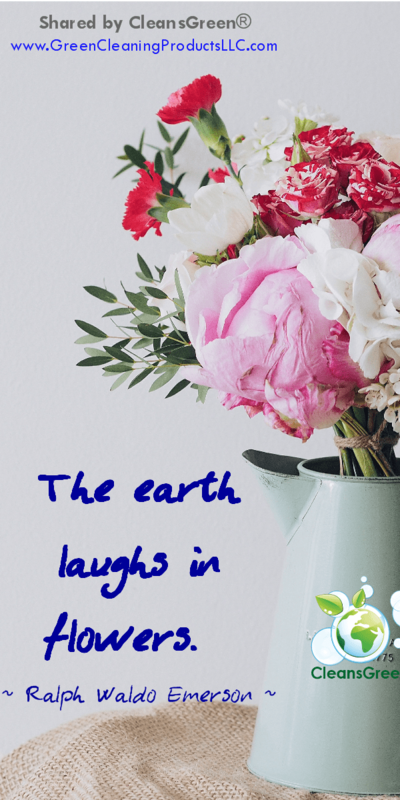 (In truth while the yucky odor of the chemicals in the cleaner are masked by the fragrances, they can be even more toxic than the chemicals themselves.) 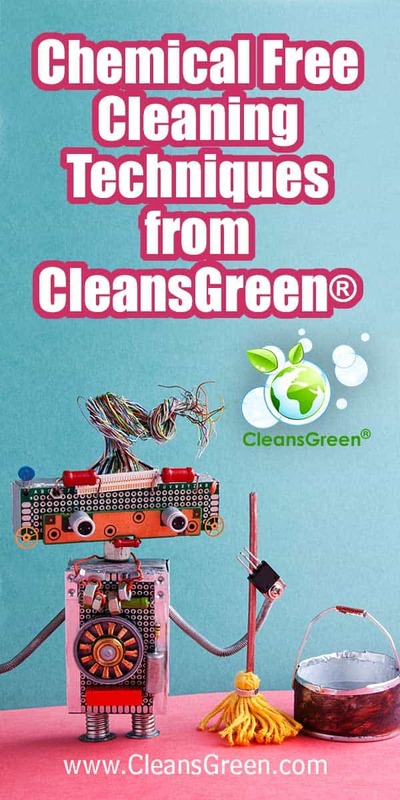 The next step in the evolution has been the introduction of green cleaners. These have become popular in the past five to ten years. 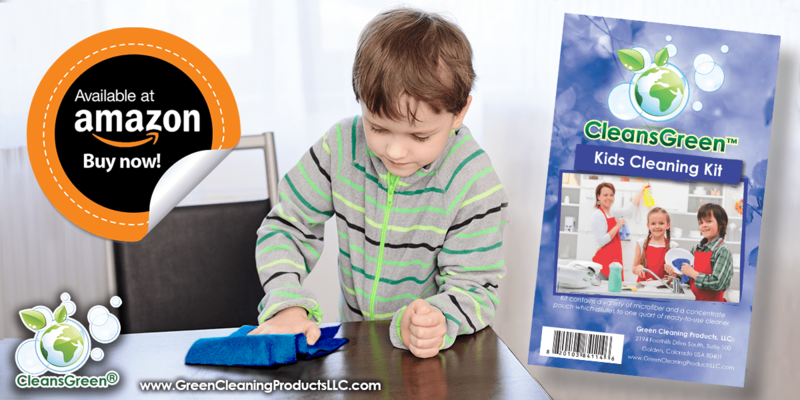 Green cleaners are important for baby and pet safe cleaning, as well as ensuring the health of our children when they want to help with our household cleaning chores. With increased awareness and concern for our planet, an additional appreciation of the dangers of chemicals has amplified. This leads to the next step of chemical-free cleaning. Does chemical free translate to doing the same cleaning tasks in the same way, but without cleaners of any type? No. If you did, you would expend the same amount of blood, sweat and tears and then have the potential of not removing the dangerous pathogens and their “food sources” that you are seeking to eliminate in the first place. 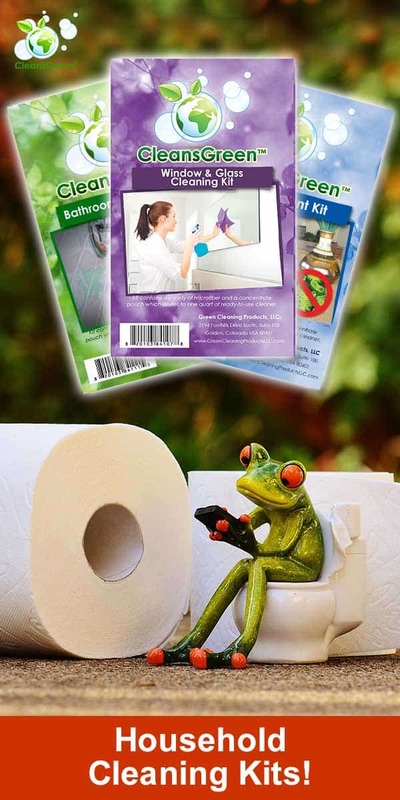 Instead chemical free means cleaning in new and different ways with new methods that operate without chemicals. Since chemicals have a tendency to leave a film or residue on surfaces that then attracts more dirt, cleaning without chemicals may actually keep surfaces cleaner longer. 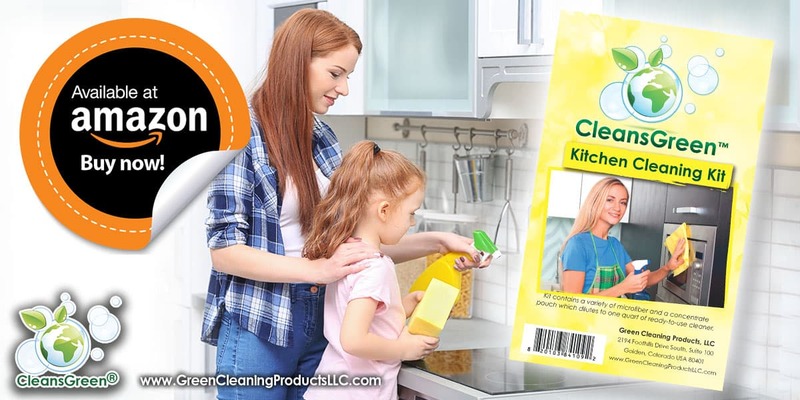 For instance, if you have tried the latest microfiber cleaning cloths, such as the CleansGreen® Spunlace Microfiber Cloth, you will know that technology really can make life easier. Not only are these cloths lint free, more hygienic, they avoid the need for expensive (and often harmful) chemicals and they get things looking cleaner in less time. Although it may feel like magic, it is not. In fact it is science. Microfiber, aka, 80% polyester/20% polyamide (nylon) fiber that is split during the manufacturing process, has been proven in the laboratory to be an effective cleaning technique. The fibers are positively charged. Dirt and dust are negatively charged. As such they are literally attracted to microfiber like a magnet and then the dirt is trapped in all of the nooks and crannies created in the split fiber until they are released. Vapor or steam cleaning systems that heat water, sometimes to as much as 250ºF. The heat essentially melts away soils and contaminants. Spray-and-vacuum cleaning systems that are basically indoor pressure washers. Just enough pressure is used to protect the surfaces being cleaned yet still loosen and remove soils, which are then vacuumed up. Activated or electrolyzed water systems leverage an electrical current that turns water into a cleaner and/or disinfectant and is most effective with only moderately soiled surfaces. While it may be impossible to completely eliminate chemical cleaners, minimizing them has its advantages. 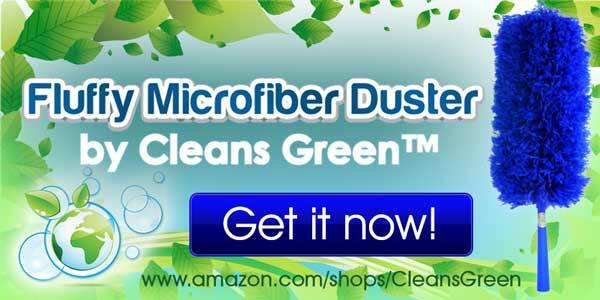 While many different types of microfiber cleaning tools (and some are better than others) are available, Green Cleaning Products LLC’s CleansGreen® Spunlace Microfiber Cloth is unique in that it is not the typical terry or chenille cloth, but rather acts like a paper towel, yet a whole lot stronger. 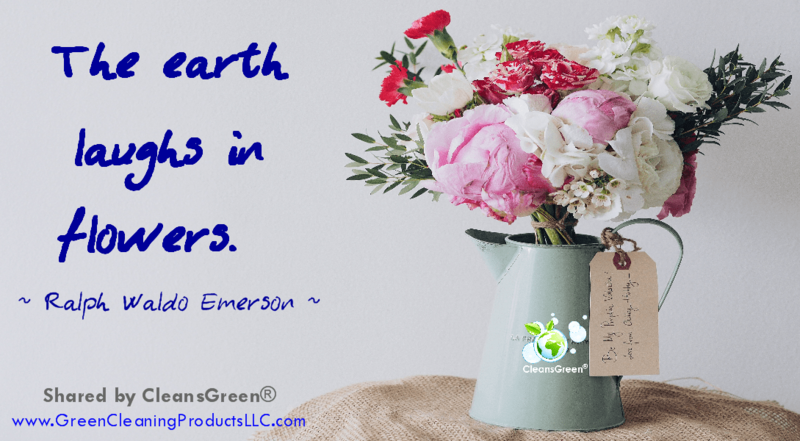 As Ralph Waldo Emerson stated, “The earth laughs in flowers”, it is important to continue our ecofriendly journey. Technology will continue to advance. We likely will see more innovations and fewer chemicals associated with cleaning. 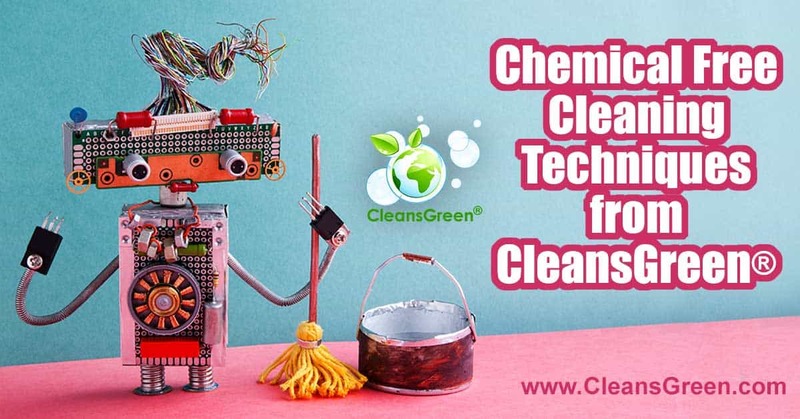 After all, chemical free cleaning serves as the epitome of environmentally friendly when you consider the reduction in packaging materials, waste, and transportation fuel when chemicals are not used. In short it is one of the easiest ways to promote sustainability.